NEW YORK, NY--(Marketwire - October 21, 2010) - The Midas Awards, the only competition that recognizes excellence in financial services communications on a global scale, announced the winners of their 2010 competition. Founded in 2001, the Midas Awards honors advertising in banking, brokerage, insurance, mutual funds, and credit, in addition to real estate, accounting, and consulting. This year's competition saw a 27% increase in entries, submitted from 31 countries around the world. The Midas Jury awarded one King Midas Award, 18 Gold Ingots, 32 Silver Ingots, and 71 Finalist Certificates. 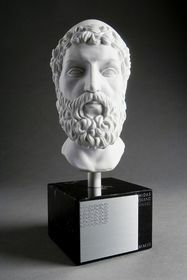 McCann Erickson New York was awarded the prestigious 2010 King Midas Award for "The Priceless Gift Finder" for their client MasterCard Worldwide. This King Midas winning entry was developed to make shopping easier for MasterCard cardholders by providing online users with gift recommendations for everyone on their list. Professional athlete Peyton Manning and comedic actress Alyson Hannigan hosted the site, which helped generate buzz. Their integrated campaign drove users to the site using TV and digital media. The Jupiter Drawing Room in South Africa was the most awarded agency, earning two Gold Ingots and five Silvers Ingots. "Creativity Takes Courage" was awarded two Gold Ingots and three Silver Ingots for client Absa L'Ateleir Art Competition 2010. In honor of this year's competition theme, "Creativity Takes Courage," artists were invited to design a piece work and then have it permanently tattooed on their body at the L'Atelier expo stand. In addition, the agency received two Silver Ingots for "Design Fights" for client Absa Design Indaba Sponsorship 2010. To demonstrate Absa's support of the design community and to create brand awareness, an online arcade game was created. The innovative game allowed designers the chance to defeat obstacles standing in the way of great design such as budget, the client, technology, and self doubt. Other prominent South African agencies honored with Gold Ingots: DDB South Africa of Johannesburg was awarded the Gold Ingot for "Retail TV Campaign" for client First National Bank; King James Cape Town received two Gold Ingots for "Puzzled" and "Quilt" for client Allan Gray Limited; and Velocity Films garnered a Gold Ingot for "Legend" for client Allan Gray. U.S. agencies received three Gold Ingots: Firstborn of New York earned two Gold Ingots, one for "Aflac.com" for client AFLAC, and a second for "Your Futureself" for client Lincoln Financial; and SapientNitro of Miami was awarded a Gold Ingot for "The Manifesto Campaign" for client Travelers Insurance. Gold Ingots were awarded to the following agencies for their exceptional work: EURO RSCG Brussels earned two Gold Ingots for "Miss Penny" for client ING; BurdaYukom Publishing GmbH of Munich received a Gold Ingot for "We love hair" for client Henkel AG & Co.KGaA; and HEIMAT Berlin was awarded a Gold Ingot for "Volksbanken Raiffeisenbanken Relaunch Campaign Drive" for Volksbanken Raiffeisenbanke. In addition, Wiktor Leo Burnett of Brastslavia earned two Gold Ingots for "The Pink Squad Online Campaign" and "Eva" for client Union Insurance Company; Draftfcb Canada received a Gold Ingot for "Grumpy Old Men" for client TD Canadian Trust; JWT London was honored with a Gold Ingot for "HSBC Brand TV -- Different Points of Value" for client HSBC; and TEAMLAB Inc of Tokyo received a Gold Ingot for "Sketch Piston4" for client Bamboo Fun. The Midas Jury is comprised of client and agency leaders from the creative and marketing disciplines, as well as internationally recognized experts in financial policy and communications. The jury panel, representing 16 countries, award Gold and Silver Midas Ingots to the highest scoring entries in each category. The King Midas Award is recognized as the "Best of Show" by the Board of Judges and Advisors. All winning entries are featured at: www.midasawards.com, and are promoted by our network of representatives in 74 countries around the world.